Just found out that Rare Chicken Rescue has been nominated for a Panda Award for this years Wildscreen Film Festival, the international wildlife and environmental film festival held in Bristol each year. RCR has also been nominated for a Dendy Award as part of this years Sydney Film Festival. 13/06/08 – UPDATE – Hot off the press. 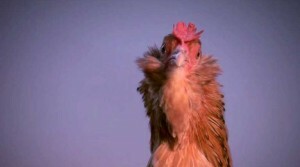 Congratulations to director Randall Wood for just picking up the 2008 Dendy Award for Best Documentary for Rare Chicken Rescue at the 55th Sydney International Film Festival Great News!